Wilfrid Laurier University is a leading Canadian university that excels at educating with purpose. Its holistic approach to learning integrates innovative programming with hands-on experience outside the classroom. Students gain both the knowledge and skills needed to succeed in the real world and the inspiration to make their mark. Laurier has been ranked #1 in student satisfaction for the past three years thanks in no small part to its unique community-centred culture. From day one, students feel welcomed and find their place in the many faculties, clubs, teams and associations Laurier has to offer. Students build supportive and collaborative relationships with faculty and staff as well as lasting connections in the communities they live, learn and work in, and in the global community. After graduation, thousands of engaged alumni carry the Laurier legacy throughout the world. Through its community of researchers, leaders and educators, Laurier has built a reputation as a world-class institution known for its academic excellence – knowledge that serves society, creates connections and has a lasting impact. Laurier specializes in arts and social sciences, business and economics, music, science, social work, education and theology. The university has campuses in Waterloo and Brantford and locations in Kitchener, Toronto and Chongqing, China, a research office in Yellowknife, and a future location in Milton, Ontario. Laurier was established as the Evangelical Lutheran Seminary of Canada in 1911 and remains the home of the affiliated Martin Luther University College (formerly Waterloo Lutheran Seminary). Laurier’s commitment to academic excellence is evident across each of its nine faculties and federated college. The unique blend of traditional and innovative programs are intentionally diversified in size and depth to ensure students can succeed in the field of their choosing. Laurier’s approach to teaching brings classroom learning to the outside world, providing students with both the theory and experience needed to become leaders in their field. Laurier’s Waterloo campus offers a broad range of full- and part-time graduate and undergraduate degree programs through seven faculties: Arts, Music, Science, Education, Social Work, Graduate and Postdoctoral Studies and the Lazaridis School of Business and Economics. Programs are also offered through Martin Luther University College and the Balsillie School of International Affairs. Laurier’s Brantford campus is home to the Faculty of Human and Social Sciences and the Faculty of Liberal Arts. The campus is a leader in new and innovative programs, including the BFAA in Game Design and Development, User Experience (UX) Design program and the combined BA/LLB program, offered in partnership with Sussex University in the United Kingdom. Laurier’s future Milton campus plans to offer programs with a focus on STEAM (Science, Technology, Engineering, Arts and Mathematics). Laurier’s holistic approach to learning ensures its graduates are ready to face whatever is thrown their way. Students are encouraged to think critically and independently and to exchange ideas freely and respectfully. Laurier’s programs are continuously evolving, informed by educators and researchers at the cutting edge of innovation. Learning happens both inside and outside of the classroom, where students gain hands-on experience and apply knowledge to real-world problems. By graduation, they’ve built a foundation of both academic and experiential learning and are ready to hit the ground running. Both undergraduate and graduate students learn through co-operative education, work terms, hands-on research, community service-learning (which partners more than 2,000 students each year with more than 250 community agencies) and other volunteer and leadership opportunities. Laurier was the first university in Canada to formally recognize the benefits of volunteer and leadership activities through the Laurier Experience Record (formerly Co-curricular Record), an online tool allowing students to maintain a record of their curricular and co-curricular activities and the skills and competencies they’ve gained to complement their academic transcript. Laurier offers an unparalleled entrepreneurship and social innovation experience with a wide range of courses and support services, active student clubs and high-impact co-curricular programs. In 2016, Laurier was named a “Changemaker Campus” by Ashoka U – a prestigious designation that signifies Laurier’s status as a global leader in social entrepreneurship and social innovation education, and its role as part of a network of universities that support one another in making the world a better place. Laurier’s researchers, leaders, educators and students build knowledge that has a real impact, on our campuses, in the regions in which we operate and in our global community. The university’s research strengths address current issues of societal importance, including climate change and the environment; governance and policy, particularly related to human rights; health and well-being; culture and society; and economics, markets and management. Laurier’s 24 research centres and institutes include: the Cold Regions Research Centre; the Laurier Institute for Water Science; the Centre for Women in Science; the Laurier Centre for Community Research, Learning, and Action; the Laurier Institute for the Study of Public Opinion and Policy; and the Laurier Centre for Sustainable Food Systems.  Nine of Laurier’s 30 research chairs are Canada Research Chairs. Laurier has established a reputation for community involvement and engagement, as well as for the opportunities it provides both undergraduate and graduate students to participate directly in research. Its researchers collaborate with other institutions nationally and internationally as well as with industry, government and community partners. Laurier maintains many formal partnerships that allow its research to come into sharper focus, including with the Government of the Northwest Territories; with Global Water Futures, a Canada First Research Excellence Fund-funded project that is the largest university-based water project in the world; and with the renowned Balsillie School of International Affairs (BSIA), where Laurier’s School of International Policy and Governance is housed. Laurier’s growth and innovation, combined with faculty who focus both on cutting-edge research and on mentorship, are key factors that attract students to Laurier to pursue their research interests. In an effort to educate engaged and aware citizens of an increasingly complex world, Laurier strives to be a leader in international education and scholarship. As part of its internationalization efforts, each year Laurier welcomes over 1,300 international students from more than 80 countries and sends students on exchange to institutions in 26 countries. Further international opportunities are offered through field courses, summer programs, internships, co-op work and volunteer experiences. Laurier’s Global Engagement Strategy enhances the mainstays of Laurier’s international programming – which includes tailored orientation activities, ongoing student mentorship and language support programs, social activities and overall assistance with academic and cultural adaptation – with international support services, the development of intercultural competencies and International at Home central programming. These programs provide foundational knowledge and experiences that foster truly globalized students through opportunities to learn from visiting scholars, pursue degree-related exchanges, increase their intercultural competencies and engage with international students from around the world. On Oct. 30, 1911, the Evangelical Lutheran Seminary of Canada opened its doors in Waterloo. Waterloo College School was established in 1914 for pre-theological education, and the Waterloo College of Arts was established in 1924 to provide a four-year, post-secondary education program. A year later, the Faculty of Arts, under the name Waterloo College, affiliated with the University of Western Ontario. Waterloo College’s affiliation with the University of Western Ontario ended in 1960 when the Seminary obtained a revised charter that gave degree-granting rights to both the Seminary and the university, and the university became Waterloo Lutheran University. On Nov. 1, 1973, Waterloo Lutheran University became a provincially funded university under the name Wilfrid Laurier University. The university’s Brantford campus opened in September 1999. The Waterloo Lutheran Seminary was renamed Martin Luther University College, a federated college of Wilfrid Laurier University, in 2018.